Come One, Come All -- to the Bearded Octopus ! Circus Themed Art Show featuring some of the most talented artists in AZ. 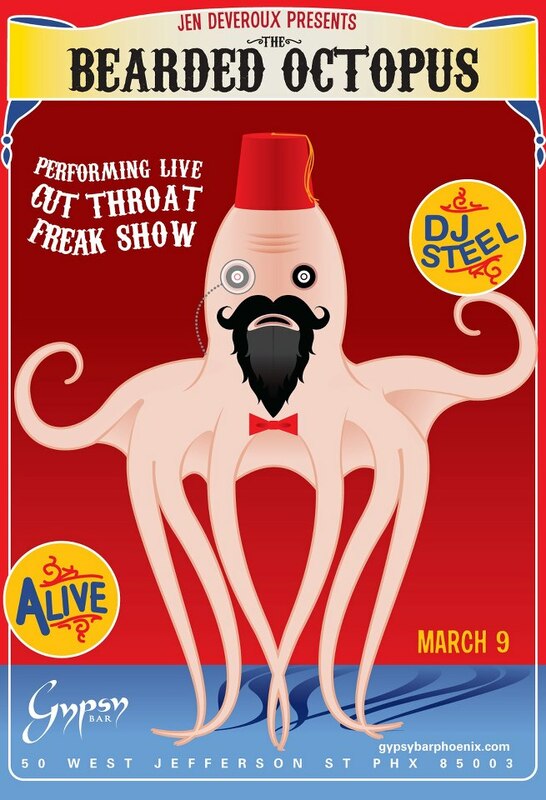 Live performances by Cut Throat Freak Show & Scandalesque !